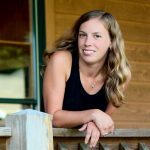 We bid a fond farewell to Lauren Essick, a longtime team member with a passion for sustainability and energy justice. 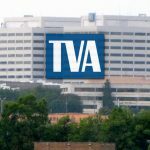 How can TVA claim to support energy efficiency and renewables even as they implement policies that discourage them? TVA is using its already-obsolete 2020 Integrated Resource Plan as an opportunity to cut funding for energy-saving technologies that it claims are driving down revenue. 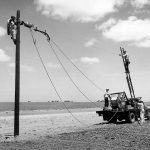 Rural electric cooperatives’ legacy of rural economic development uniquely positions them to go beyond energy and find innovative solutions to challenges facing rural communities. TVA’s Board of Directors voted to implement a rate change that will disproportionately burden low-income residential ratepayers and will discourage investments in energy efficiency and renewables. Our Tennessee team is hosting workshops to provide tools and support to electric co-op members, and working to keep the public involved in TVA’s efforts to change its rate structure. A bigger prize for our N.C. home energy contest! 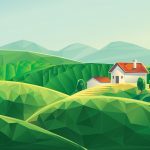 We’re increasing the amount of our grand prize for our High Country Home Energy Makeover Contest for even more impact. 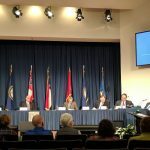 Appalachian Voices attended TVA’s February board meeting to oppose rate reforms that would burden on low-income residents and thwart future investments in clean energy. Our Energy Savings team has been working to educate, organize and provide technical support to member-owners who want to increase participation in their rural electric cooperatives. High winter energy bills got you down? Thousands of families see their energy costs skyrocket in winter, leaving many struggling to pay their bills. 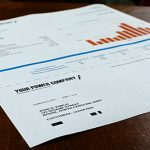 Here’s a basic overview of electric bills and how energy use translates to the balance you see on your bill. 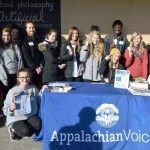 On Saturday, January 20, students at Appalachian State University joined with Appalachian Voices for the annual MLK Challenge, a day of community outreach in honor of Dr. Martin Luther King, Jr.